At the turn of the century various types of public baths were built to serve working class communities. The first were floating baths docked in New York’s rivers during the summer. Succeeding the floating baths, were the municipal bathhouses built for hygienic purposes and “plunge baths”. The McCarren Play Center merged both of these concepts in an outdoor plunge bath for recreational swimming. 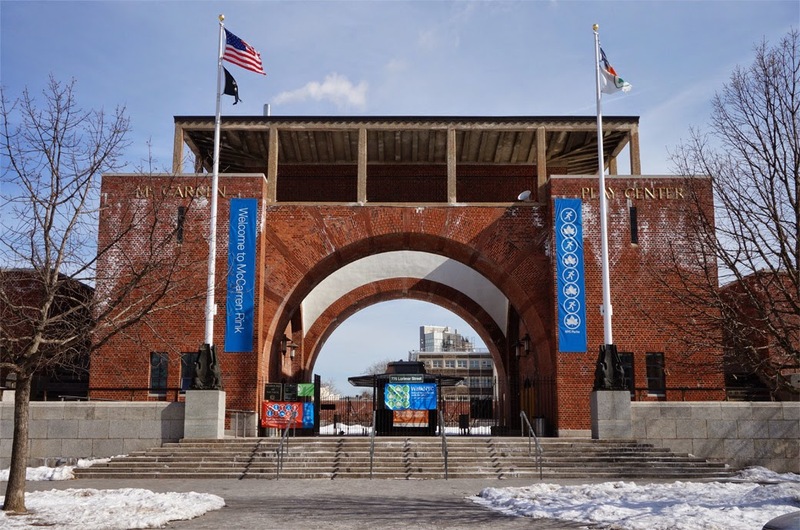 Built by Robert Moses as a WPA project, the McCarren Park Pool and Bathhouse, formally known as the McCarren Play Center opened in Greenpoint on July 31, 1936. 11 WPA pools were built in 1936. The McCarren bathing facilities, spanning a little over half a block between Bayard Street and Driggs Avenue, constituted the largest of the WPA built pools. The 50,000 square foot pool was designed to serve a capacity of up to 6,800 bathers. 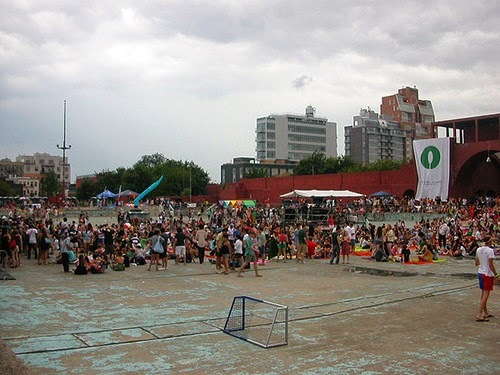 The McCarren Play Center was closed in 1983 for renovations and while the rest of the WPA built pools were rehabilitated, the McCarren pool remained shuttered due to community opposition to its reopening. The community concerns stemmed from the perception that the pool offered a haven for illicit activity. In 1989 a second attempt to reopen the pool was made but ran into political hurdles as Preservationists, supported by Brooklynites Spike Lee, Eddie Murphy and Geraldo Rivera, clashed with the community board over the planned demolition of the bathhouses. In addition, the renovations’ planned reduction in capacity was perceived by many as an attempt to localize the pool and keep minority youths from other neighborhoods out. Although the bathhouse did not receive landmark status until 2007 the proposed renovation, as well as the attempt to demolish the bathhouse building failed. 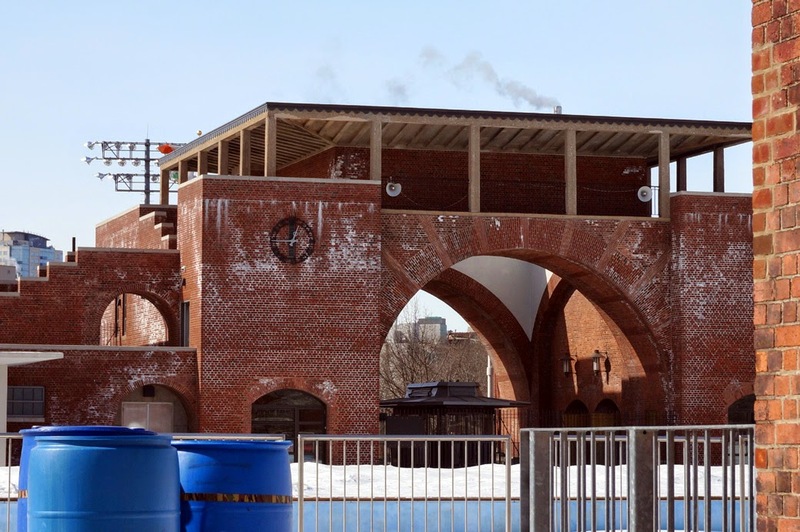 In 2001 the community board and preservationists agreed to a compromise plan for the pool and bathhouse; however, after 9/11 funding for the project was pulled and the derelict status of the site continued to endure. In 2005, the specter of demolition returned until members of the performing arts found an adaptive reuse for the site, helping fuel a renewed interest in restoring the pool and bathhouse to their original grandeur. 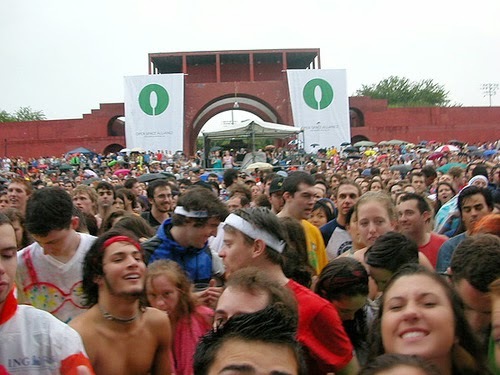 In September of 2005 Noemie Lafrance staged dance performance “Agora” followed in 2006 by Livestage’s conversion of the pool into a music venue for summer performances. The pool hosted performances by bands like Sonic Youth, MGMT and the Ting Tings. 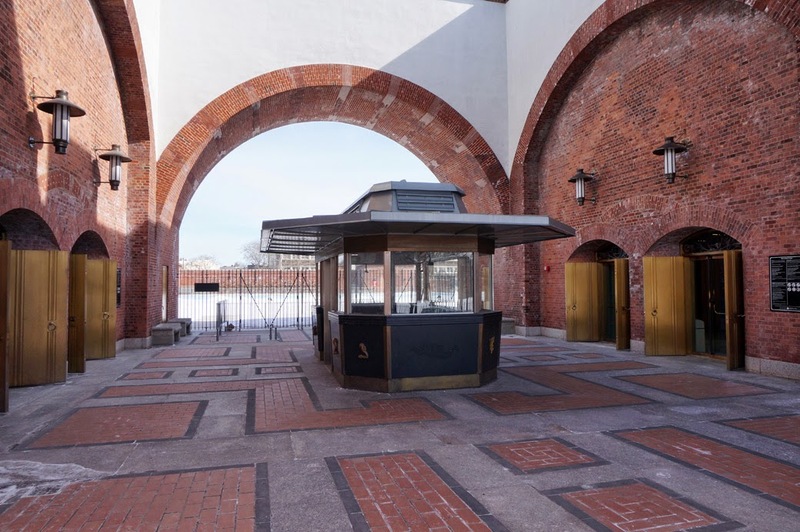 Finally, in 2007, the Bloomberg Administration announced that there would be an infusion of money for several historic Park’s properties including the defunct pool and after a 30 month $50,000,000 renovation, the pool reopened on June 29th of 2012. 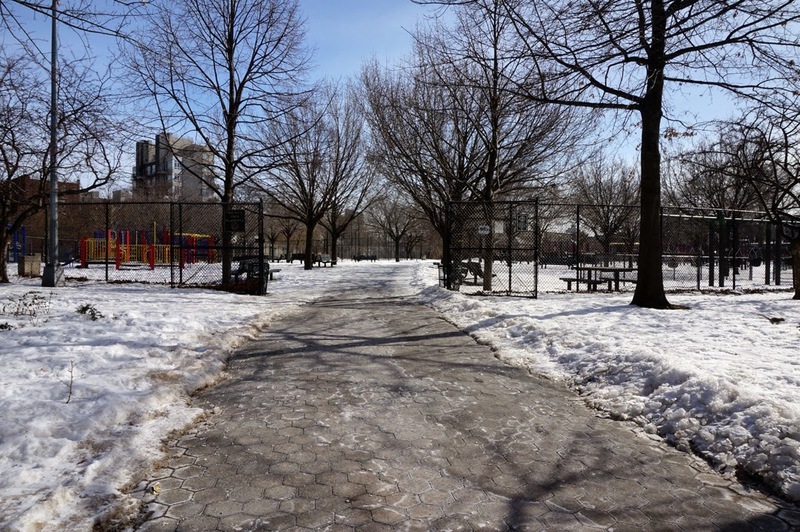 The playground adjacent to the McCarren Play Center was once the site of a Dutch Farmhouse known as the McCarren Park Farm and Playhouse. The house was used as a “School Farm Garden cottage” and social center that resided amidst a large community garden. Brozan, Nadine “A Crumbling Pool Divides a Neighborhood” New York Times. 30 July, 1990. Geberer, Raanan “Committee Throws in the Towel On Abandoned Greenpoint Pool” Brooklyn Daily Eagle. 18 March, 2005. Rockwell, John “Going for a Waterless Dip With Roller Skaters, Bikers and Superstars” New York Times. 15 September, 2005. Bukowsky, Rivka “New venue’s a real dive: Pool to host rock shows” Daily News. 23 May, 2006. Foderaro, Lisa W. “Empty About 3 Decades, Depression-Era Pool Reopens to Cool Off Brooklyn” New York Times. 29 June, 2012. “McCarren Park Farm and Playhouse” Brooklyn Daily Eagle. 28 March, 1915.